The Murdex atomizer is an innovative RTA tank which features single and dual coil control ring and adjustable bottom airflow. Moreover, you can extend the tank to 5ml capacity. SS316L version. 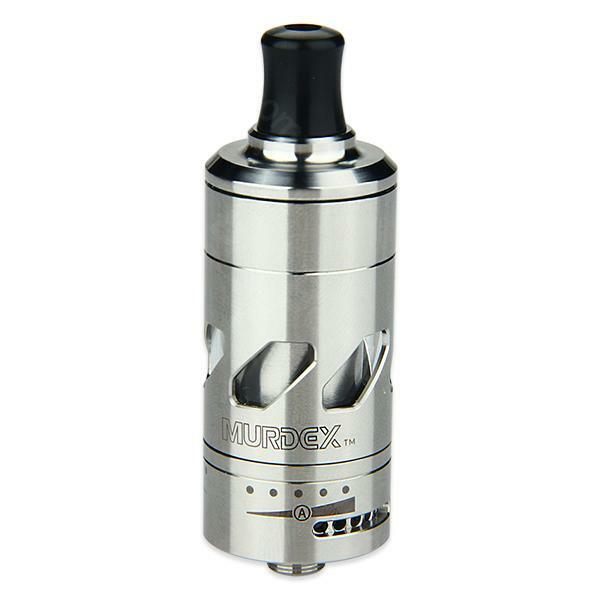 Murdex 316 Coil Control RTA is a coil control tank which supports two different coil systems - single coil-A, dual coils-AB. Users can adjust the coil system by revolving the coil control ring. Together with e-liquid reflux resistant system (ERRS) drip tip, extendable 5ml e-juice capacity and bottom adjustable airflow, Murdex RTA provides a remarkable vaping experience to you. SS316L version. Die E Zigaretten sind super schnell aufgeladen, einfach zu bedienen, ich bin rundum zufrieden mit Murdex 316. This is my first time to order at this online store, yet the quality is second to none. Worth to recommend to friends and I'd buy again. The Murdex atomizer is original.